Everything in your environment—-home or office—-can have an impact on your outlook whether you may be conscious of its effect or not. It goes without saying that the artwork you hang on your walls is not exempt from providing this same influence. 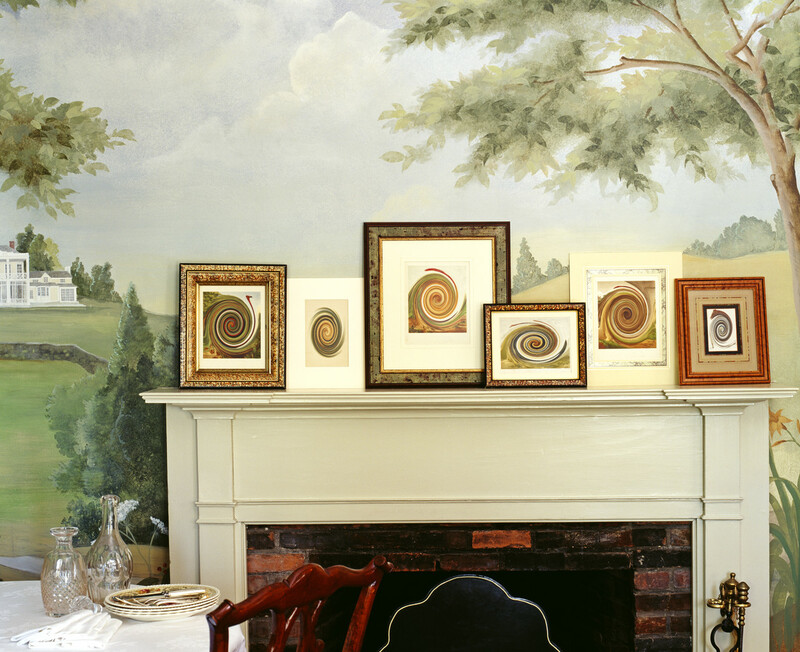 There are some definite Feng Shui guidelines when placing artwork in your space that can empower both you and your art. It’s obvious you should love the artwork you display and you should continue to be inspired by its presence. If not, remove it, sell it or give it away. If you and your partner/spouse cannot agree on a piece of art that is jointly owned (one loves it; the other does not), take steps to place the artwork where the one who loves it can truly enjoy its message and the other doesn’t have to see it on a regular basis. Have food-related or farm-related art in the kitchen and eating areas (fruit, farming scenes, agricultural themes). Images or colors that support health are appropriate here. Your daring, innovative and controversial art is nicely positioned in public spaces such as the living room or family room. Scenes that depict warring factions, such as those depicted in mythology, must be carefully positioned so their conflict doesn’t play out in some way in your life. Whatever artwork you may have on your walls, make sure it still inspires you and speaks to who you are. More importantly, make sure it reflects where you are heading; otherwise, it’s holding you back. If you’ve had the same artwork on your walls for many years, ask yourself if you still love it and if it still fits with your goals. Or perhaps it’s time for a new vision. Let your space help you move forward in perceptive, subtle and artful ways.